What is Lupus Nephritis (LN)? 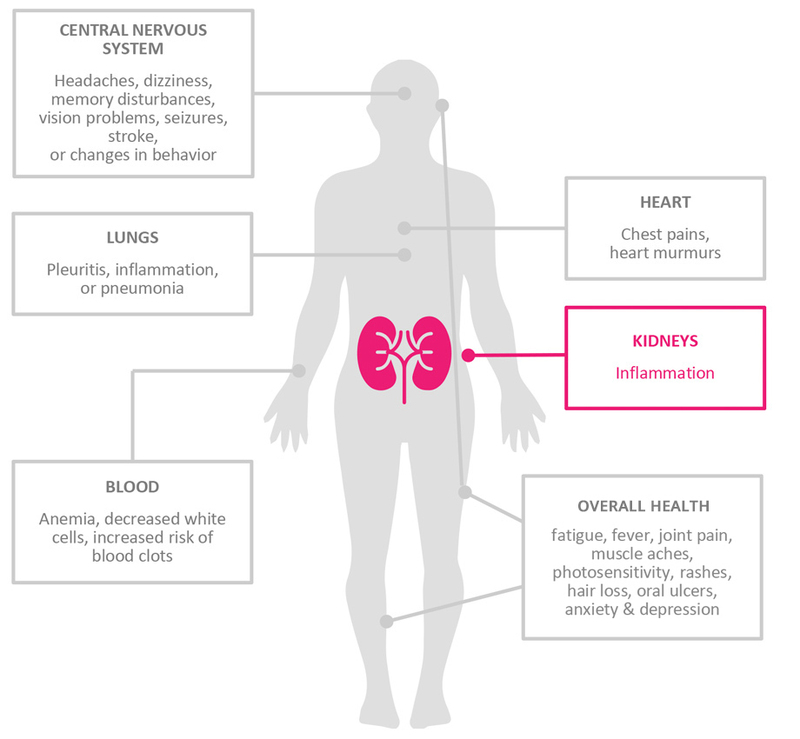 Lupus, which is also referred to as System Lupus Erythematosus (SLE), is a chronic, complex and often disabling disorder and affects over 500,000 people in the United States (mostly women). As an extremely variable disease, SLE can affect the heart, lungs, skin, joints, vascular system and kidneys. Lupus nephritis (LN) in an inflammation of the kidney that represents a serious progression of SLE. It is estimated that as many as 50% of all SLE patients have or will have clinical LN requiring treatment at some point during the course of their disease. Unlike SLE, LN has straightforward disease outcomes where an early response correlates with long-term outcomes, measured by proteinuria. In patients with LN, renal damage results in proteinuria and/or hematuria and a decrease in renal function as evidenced by reduced estimated glomerular filtration rate (eGFR), and increased serum creatinine levels. LN is debilitating and costly and if poorly controlled, LN can lead to permanent and irreversible tissue damage within the kidney, resulting in end-stage renal disease (ESRD), thus making LN a serious and potentially life-threatening condition. There are no FDA or EMA approved LN therapies, however, we believe that voclosporin, which has received fast track designation by the U.S. FDA, has the potential to become a treatment option for patients in the future.